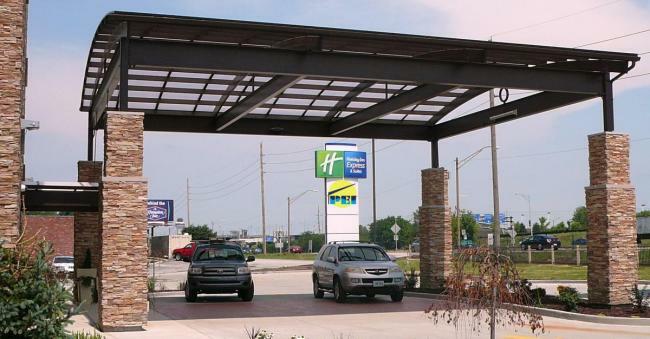 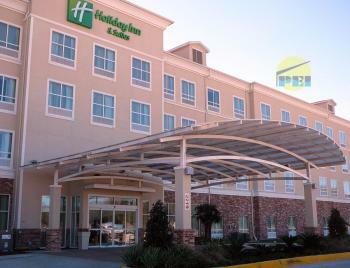 Holiday Inn Express Porte Cochere Drive Thru Entrance manufactured by Pool Enclosures, Inc.
P.E.I. 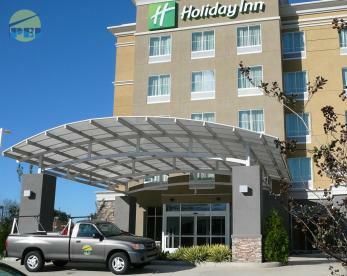 Manufactures Porte Cocheres and Canopies for commercial drive-thru entrances. 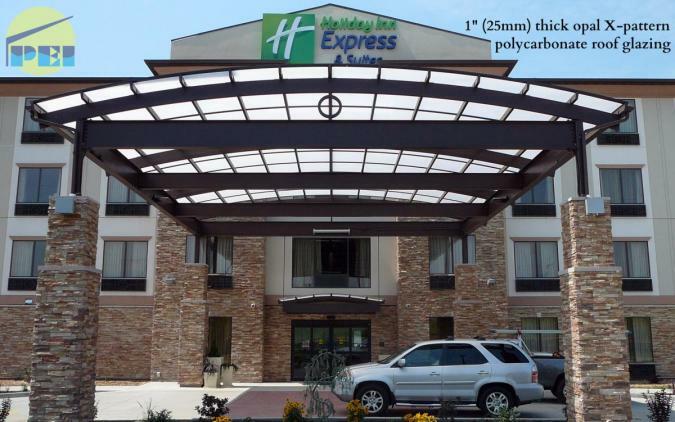 Below is a 36' wide x 40' long porte cochere with 25mm 5-wall opal polycarbonate with an internal X-pattern for strength. 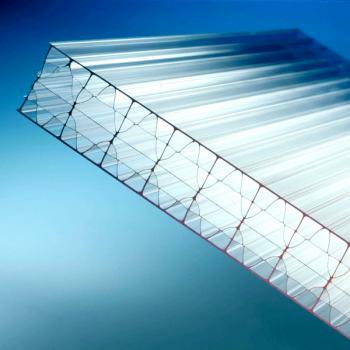 Polycarbonate is a thermoplastic material which offers manufacturer and designers many possibilities while providing greater design freedom, enhanced aesthetics and cost reductions! 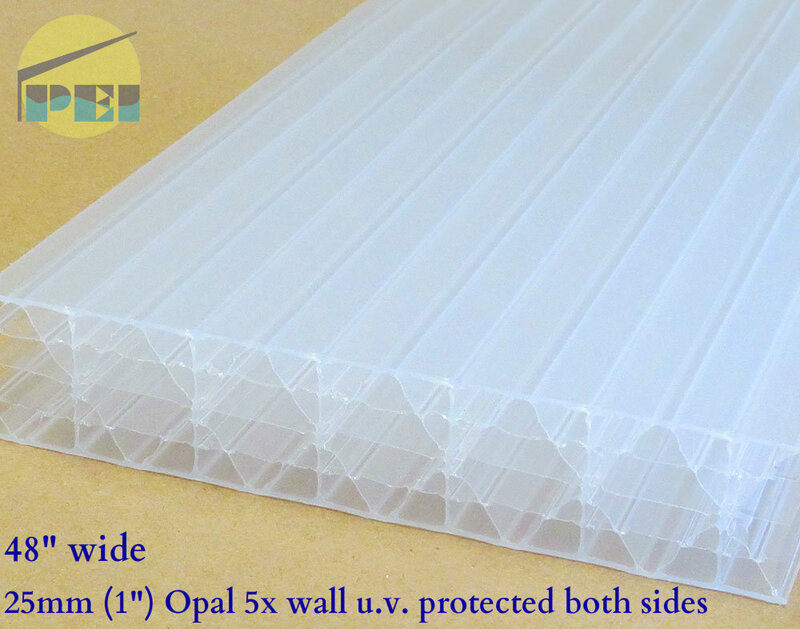 The material is known for maintaining coloring and strength over time.